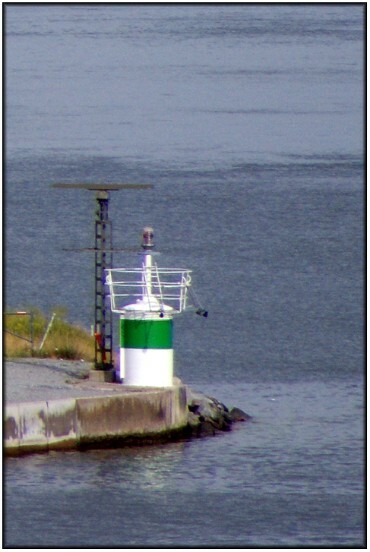 This light is the identical twin of the Varmdolandet light that stands directly opposite on the other side of the channel. Once again I have no date for this light and the data above were taken from the National Geospatial-Intelligence Agency, Publication 116, List Of Lights Radio Aids And Fog Signals. 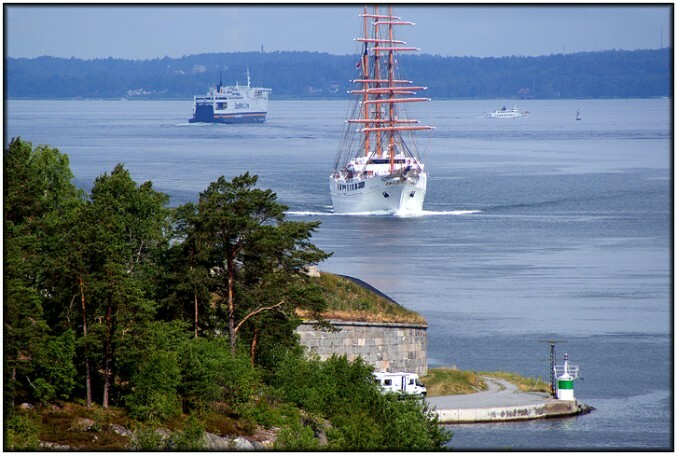 The image below gives a wider view with the light in the bottom left hand corner, Sea Cloud II approaching inward bound for Stockholm, and the ferry Sea Wind outward for Åbo in the background.